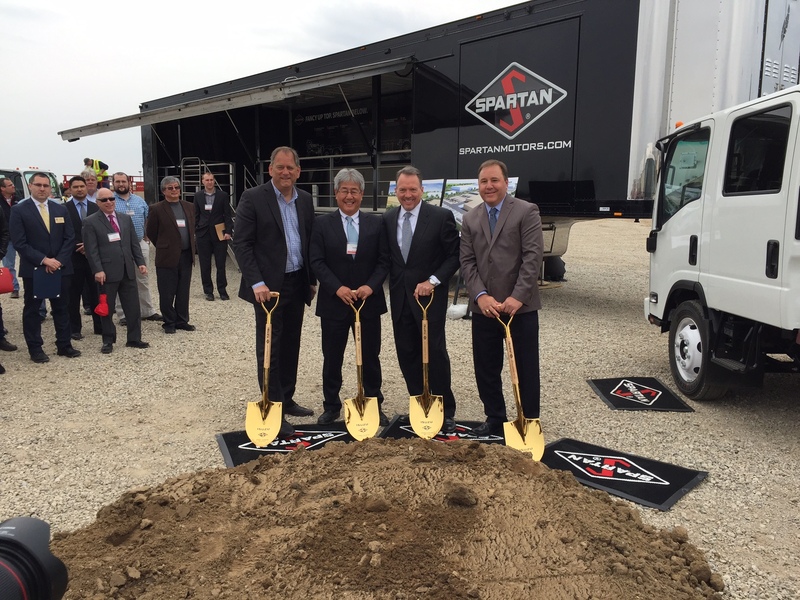 On Tuesday, April 19th WIELAND participated in the groundbreaking ceremony for the new Spartan Motors manufacturing plant in Charlotte, MI. The 85,000-square-foot facility will manufacture and assemble diesel delivery trucks. Pictured are the Isuzu and Spartan Motors executive teams. Wieland has been working with Spartan Motors for over 25 years, developing multiple facilities on Spartan’s Charlotte (MI) campus and other locations in the United States.